I have a SharePoint 2016 farm where i have mentioned a My site host location. The farm does not want to use the Mysite functionality and hence i would like to remove that from my user profile service application. Deleting the UPSA and creating it as new without the Mysite host URL is not an option here as we have some custom settings for user profile which we do not want to lose. I have tried to remove the entry and keep the field blank, but on clicking 'ok' it says 'The URL could not be validated'. Basically what i want to achieve is to remove the app tiles at the top left corner and 'About me' in the drop down of logged in user display. I believe these features are there since Mysite host URL is mentioned in UPSA. Any ideas on how to remove these two features from my SharePoint farm is greatly appreciated! You can limit access to AppLauncher by removing UserProfile Permissions from users. You can find the setting in UPS -> Manage User Permissions. By default, Authenticated Users are enabled to use all features. Removing those permissions will keep UPS alive. 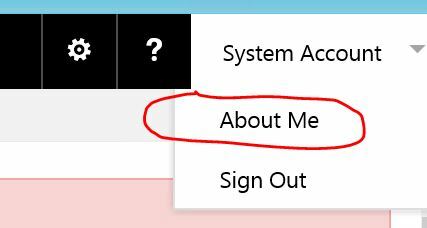 This setting will not remove the About me link in the User drop-down. Not the answer you're looking for? Browse other questions tagged sharepoint-enterprise user-profile-service mysite or ask your own question. How do i get the url for the mysite host from powershell? AD Account is not selected in profile connections, but exists. How to get remove?